With roughly 91 million searches a day, it’s safe to say Google never sleeps. Being one of the world’s largest companies, it’s not easy to keep up with all Google’s happenings. Here are some stories to keep you in Google’s circles: Google Gives Businesses A New Reason To Use YouTube; How to Integrate Google+ Into Your Online Marketing Initiative; Google Maps Gets a Brand New Look; and Google Combines Keyword Tool, Traffic Estimator Into Keyword Planner. Imagine while watching your TV and you saw a product you instantly wanted to purchase and could with one simple click? Well, that dream is basically a reality. Now YouTube advertisers have the ability to add a buy now button to product ads. There will also be an area for viewers to add comments and create reviews. Google+ recently revamped its social platform. The update is a cross between a Facebook timeline and a Pinterest board. The navigation is equally as pleasant as its new look. 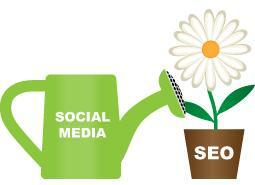 If you are marketing via SEO and social media, one of the best places to marry them together is on Google Plus. 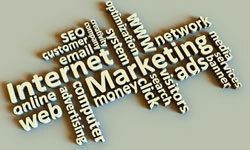 It’s proven that social signals have influence on SEO rankings and Google might just favourite its own social network. Google has create a more comprehensive map and is now more personally tailored to users search and click history. The maps search results will now provide snippets of a company’s star rating, reviews, and images. With all this great company information easily accessible, it’s essential for businesses to have Google+ Local accounts accurate and up to date. Google’s AdWords Keyword Planner is becoming the new home for the keyword tool and traffic estimator. By combining this two features users will have a better way to plan and estimate successful campaigns.